Home Scandal and Gossip Peaches Geldof memorabilia posted on Ebay. Profiting off her death. 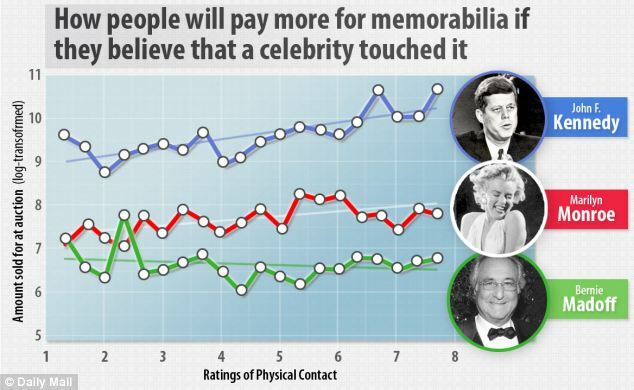 How Peaches Geldof memorabilia is leading to the late celebrity to being a profit opportunity. 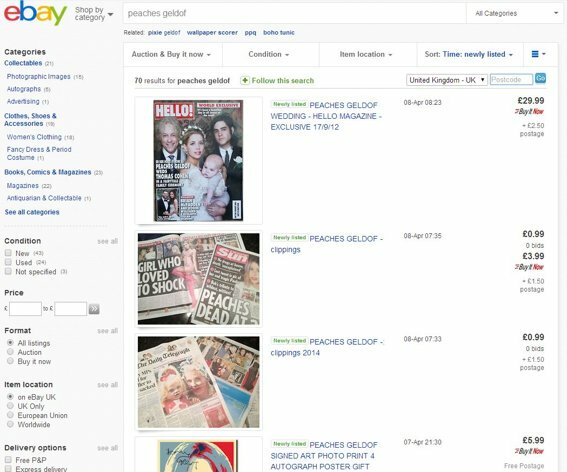 Within minutes of the death of Peaches Geldof being publicly announced, fans were putting Peaches Geldof memorabilia on Ebay in attempts to flog them at lofty levels. Items included autographed pictures as well as any other items connected to her on Ebay. Tells the dailystar.co.uk: A seller called Vintom was selling autographed pictures of the star for just £1.59 at 6.29pm – less than an hour after the tragic news broke. Another user – hollyhock12011 – listed a “stunning” dress designed by Peaches for sale with bids starting at £29.99. The seller claimed she only worn the size 10 garment once. On the description, the seller – thefox147snook – wrote: “This is approximately 7.5×5.5 inch photo which has been hand signed by the late PEACHES GELDOF, dedicated to Dave Peace + love. Bizarrely, eBay users were also selling newspaper clippings about her death for less than £1. One seller – acorn2oak – listed a copy of an edition of Hello! magazine from September 2012 which featured Peaches’ “fairytale” wedding to Thomas Cohen on the front cover for £29.99.